If you're still from the old days and you don't even want to hear about Netflix, HBO and company, and you still love watching movies on physical formats such as DVD, you need to get hold a decent player to enjoy these contents. It comes along with different interesting options to be able to enjoy a rich viewing experience, such as choosing between different channels, adjust the viewing ratio or support for subtitle tracks that we can comfortably enable. 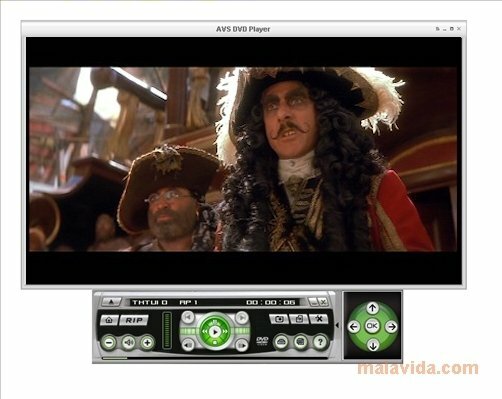 Its window-based browsing system and the sound configuration options with Dolby Surround support make this program a very recommendable option when it comes to playing our favorite DVDs. Stable and compatible with a wide range of formats; you won't have any trouble at all. It's not bad at all taking into account that it's a software you can download for free and that despite the proliferation of modern video playback systems, will definitely suit your Windows 10 if you're looking for a program that settles your needs when turning to your old-school film collection.